As we announced last week our next locomotive add-on will be the GWR 4200 2-8-0 tank engine and it's more powerful variant, the 5205. In the early 1900's With the rapidly increasing requirement to move large amounts of coal, especially in the valleys of Wales, Chief Engineer Churchward of the Great Western Railway took the basic design of his 2800 Class and adapted it to be the UK's first 2-8-0 Tank engine. Using 18 1/2 inch cylinders and boasting an impressive 31,450 lbf of tractive effort (GWR power class D) the 4200 was put into production in 1912. They were quickly nicknamed “Water Carts” because of their heavy water consumption and proportionally limited tank capacity. 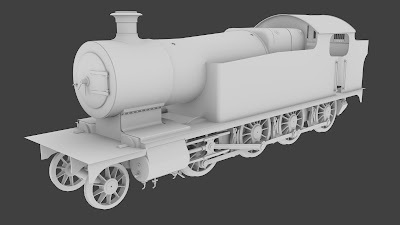 In 1919 they recieved an upgrade to 19 inch cylinders increasing the tractive effort to 33,170 lbf (GWR power class E) and creating the 5205 class variant. In later years many of the remaining 4200's were upgraded to 5205 specification with outside steam pipes, the larger cylinders and some were given curved frames at the front end. 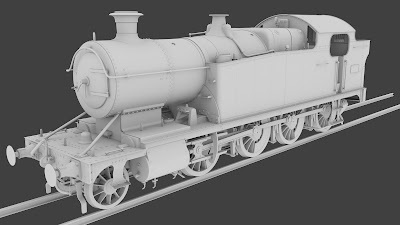 We'll be announcing everything that will be included with the add-on later this month via our partners at Steam Sounds Supreme but for today we wanted to show the modelling progress that lead us to the pictures we released last week. As always we started with the wheels and cylinders. Being sure that these are totally accurate makes sure that the rest of the locomotive scales correctly and it's vital that the motion reflects the real locomotive as this is an iconic part of any steam engine. Next we worked on the main body shape, initially building the square framed front end. There will be 4 front ends in total; square and curved, each with or without outside steam pipes. 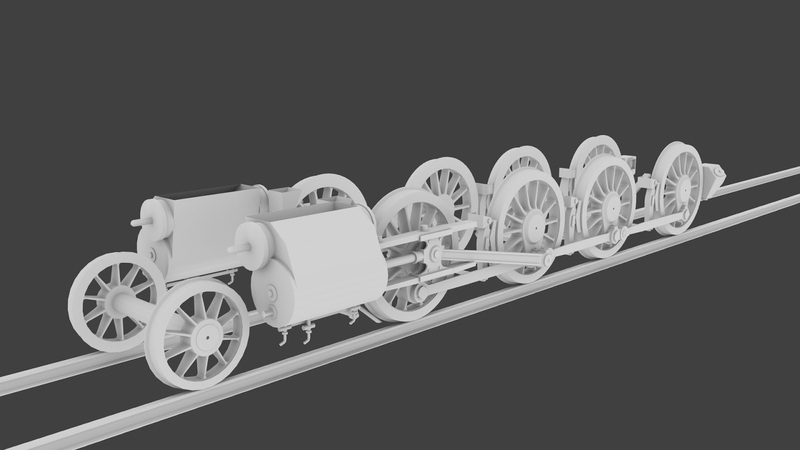 Once this was complete it was a case of working around each part of the locomotive systematically and adding the detailed components. Unlike some of our other locomotives, such as the GT3 Gas Turbine and certain variants of the USATC S160 where there are no preserved locomotives to visit, we have been able to take detailed measurements, pictures and notes from 4247, 4270 and 5224. 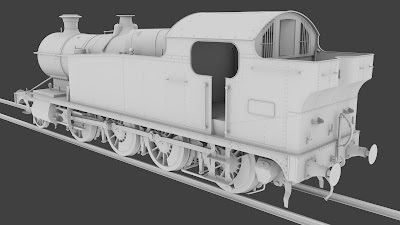 As well as modelling the different front ends we also needed to model changes made to the 4200/5205's under British Railways and these can be seen on the images of the 5205 below. A cosy place to be in the winter, a sauna in the summer! That's it for today's update. We'll be sharing more information about the add-on soon and there will also be updates from Steam Sounds Supreme so stay tuned. GWR Saint and Travelling Post Office - Available Now! 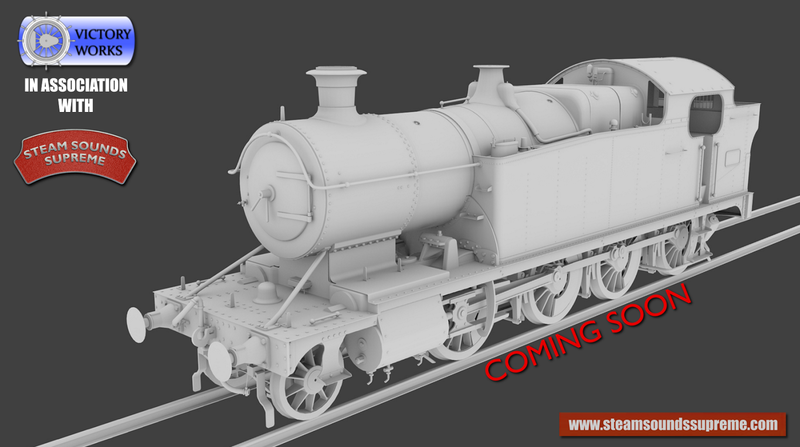 The GWR Saint and Travelling Post Office add-on is now available on Steam. The included scenarios are for the "Riviera Line in the Fifties: Exeter - Kingswear Route Add-On" which is available here if you do not already own it, as it came as part of the TS2016 core game. 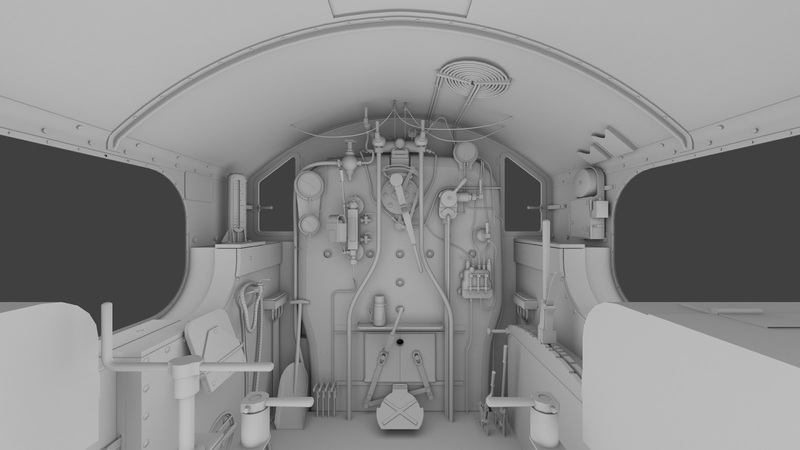 There are lots of previous blog entries showing the creation of the add-on along with details of everything that it includes. We are now working to get the British Railways Marketplace add-on through testing which will include re-skins of the locomotives and coaches, and we'll let you know when this is available.